Just in time for Easter, our friends at The Dog Bakery have whipped up these adorable, limited edition Easter baskets for your pup. They’re taking pre-orders now, so hurry! These cute little baskets are going fast. Each limited edition Easter Basket is filled to to the brim with homemade, all natural goodies just for your pooch. Everything in these beautiful baskets is made right here in the USA. Baskets are available in purple, pink, green and blue. They’re taking pre-orders now, but they expect to be out of stock soon! So don’t wait. 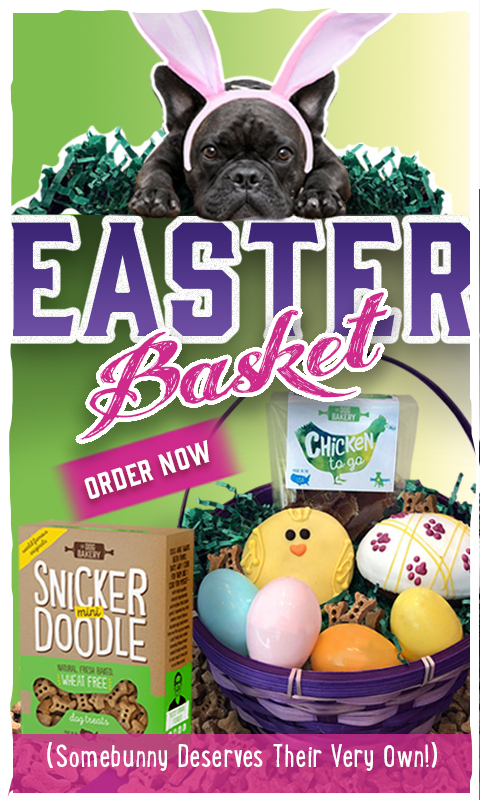 Pre-order your basket for that special pup in your life today!